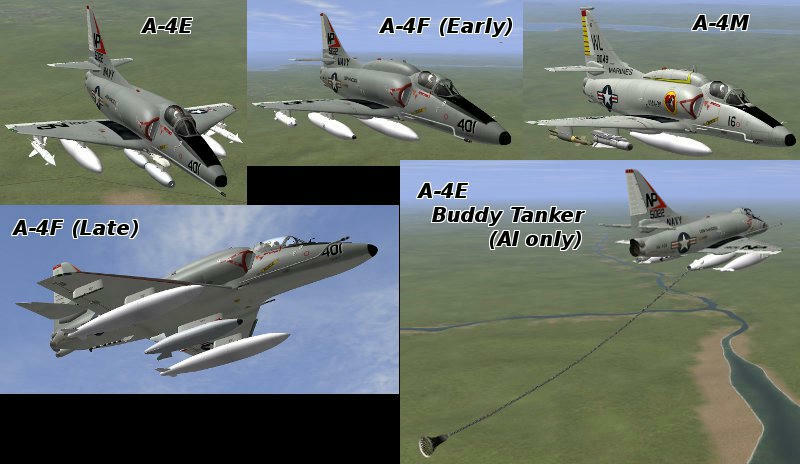 A-4E/F/M SAS version pack Beta v.0.8. In SAS, about B.A.T. contents, new A-4F/M from free modding site are often talked about their bombs hooked position problem or other compatibility problem. SAS members ... not only I ... try to solve it with more evolved features for that special modeled A-4 Skyhawk. More natural gear suspension working. Leading edge slats moving as historical and their expanding affects real time flightmodel. Later models have ground spoiler function with Airbrake extending. Air refueling in 2 way interface. All weapon carrying hooks are rearranged to make historical positions. All weapons are switched to Generation 2016 models in researching historical combos (Napalms, HIPEG pod, Illumination Flare, Missiles, Nukes) using correct launchers. (F Late / M are not finished, having some errors). Small external 3D retouch, adding E model with a straight refuel nozzle. Red flashing Anti-Collision lights working with Engine MOD 2.7.3w's toggle key. Обновился до версии 2.0: F-105 Thunderchief by Ranwers V 2.0 - 20170406. The "3000rpm" Minigun can be set to 2000rpm / 4000rpm. The "6000rpm" Minigun can be set to 3000rpm / 6000rpm. 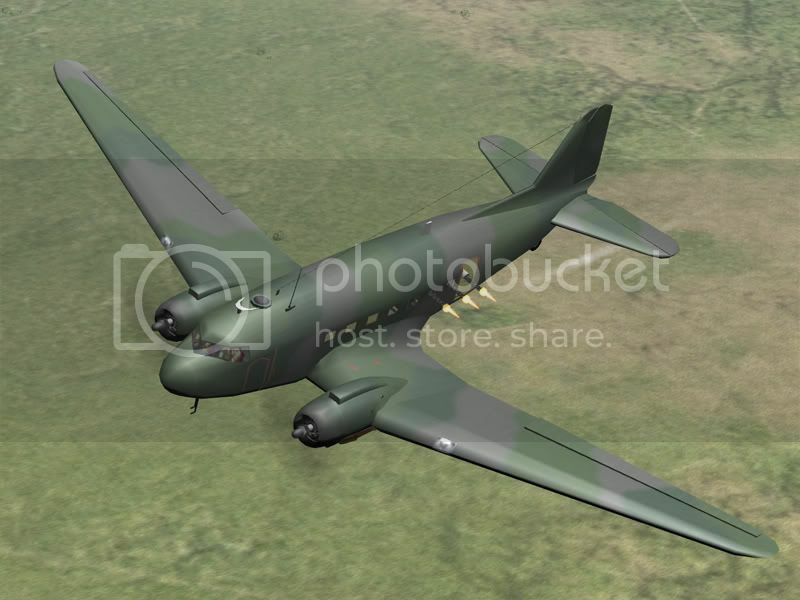 This feature is controlled by the Increase / Decrease Bombsight Speed keys. This is controlled by the Increase / Decrease Bombsight Altitude keys. The recoil on the Miniguns got reduced. The flares will now be "thrown" out of the open cargo door instead of hanging right below the miniguns like before. All changeable Minigun values will get replicated over the net and into ntrk records. To use this simply backup your original Seahawk folder and drop this one in it's place. No changes were made to the air.ini or skin folder. Снесли на SAS мою тему Super Sabre F-100D , пускай тут будут ссылки для загрузки. Актуальная нынче версия: F-100 Super Sabre version 2.0 - 2017052.
finally engine AB code in new style. Version 1.1 fix some weapons 3D bug. Вчера также обновился до "круглой" версии: F-16 by Ranwers version 2.0 - 20170319. Очередное обновление: F-16 by Ranwers version 2.1 - 20170712. Important FM fixes for all variants. Deleted huge recoil for M61 cannon, now the plane can fire straight without problems. New weapons, you need all dreamk bombs pack, WWII and later. Обновился до версии 1.1: F-80 Shooting Stars - Unified pack - Version 1.1 20170801. Какие именно 21-е? Эти вот? Или более другие? И ещё один: A-1J Skyraider.